A spacious, cheerful buffet restaurant displaying an extensive array of exceptional fare. : Imaginative décor includes lots of white and colorful tile and attractive artifacts, plus a playful name emblazoned over each action station. At FRESH, we like the fruits and the crisp mixed greens with all the trimmings. 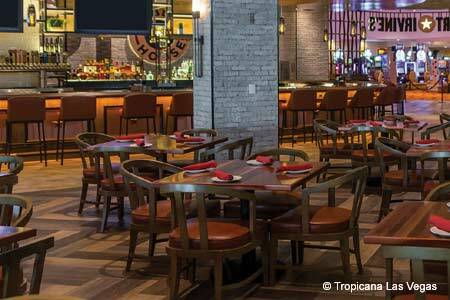 At SPLASH, the shrimp, king crab legs and pasta salad with smoked salmon and asparagus are first-rate. Among specialties at OLÉ are tortilla soup, fajitas and a salsa bar. 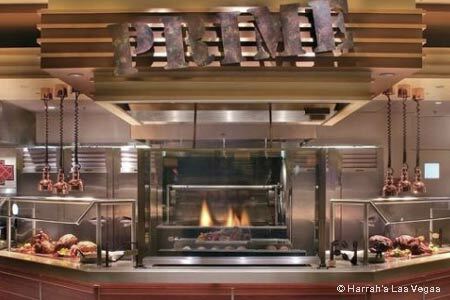 At PRIME are corn-on-the-cob, cornbread stuffing, sizzling steaks and carved-to-order turkey. Among CIAO offerings are minestrone and wedding soup, appealing seafood pasta, pizzas from a wood-burning oven and seafood paella. Among ASIAN favorites are hot-and-sour soup, sushi and barbecue Asian duck. At the lavish SWEET station are bananas Foster, bread pudding with whiskey sauce, carrot cake, ice cream, gelato and sorbet, and more.